Our team at Allworks Air have built our reputation on consistent quality workmanship and providing exceptional services to all our customers. Specialising in both split and ducted air conditioning systems, Allworks Air strives to ensure that the right product is always provided for every individual circumstance. Every situation is unique and demands different needs. Our recommendations on air conditioning systems are all tailor designed and engineered to ensure the unit will run at optimal performance, be cost effective and guarantee that each building will be maintained at a comfortable temperature all year round. Call us today on 0402 941 121to discuss how we can help you. Seasonal usage of your air conditioning system can take its toll on the machinery. Filters often become blocked with bacteria and dust particles, which then spread throughout the area and trigger allergies. Components of the unit also begin to show signs of wear and tear which can lead to long term damage of the air conditioning system. 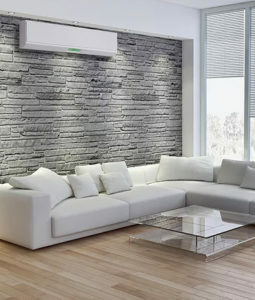 It is recommended that air conditioning services are done during Autumn and Spring after heavy usage seasons. This ensure that the system will run at maximum performance during the periods when you require them the most. Servicing your air conditioner is beneficial to help extend the life of the unit and prevent costly repairs. Call us today on 0402 941 121 to discuss how we can help you. We provide professional servicing and installation services with a real focus on customer satisfaction.Our installations are carried out by fully trained staff to the highest professional standards.